A Venipuncture device incorporated with a vital signs measuring device, so it can be used also to measure the vital signs; This feature will expand the usage of this device to include labs, blood banks in addition to emergency rooms, urgent care, family practice and any other place where blood draw or an IV set is needed. Application of both heat and pressure at the same time will maximize the size of the veins so they will be more visualized and palpable for the provider. I have a simple working model of this device. The profit is guaranteed because providers prefer using this device rather than the regular vital signs measuring device because of its additional features. 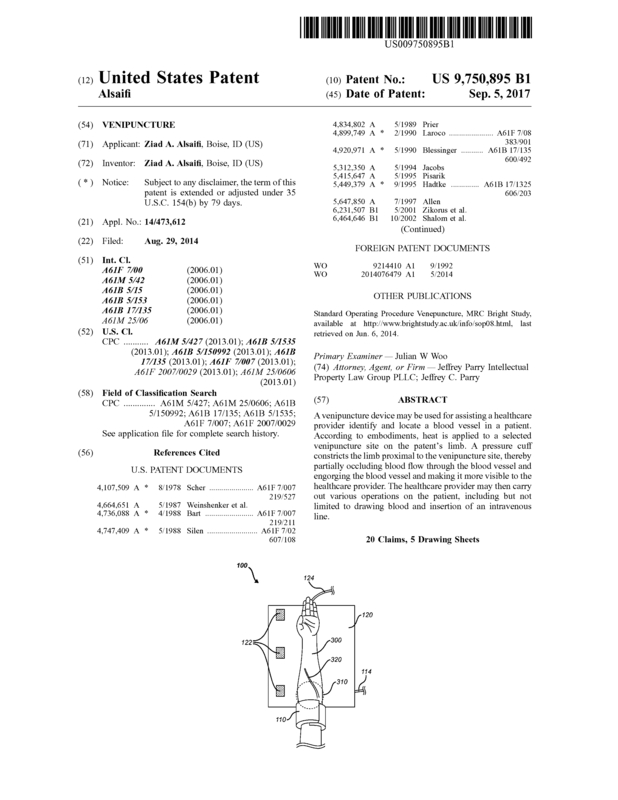 Page created at 2019-04-24 18:17:31, Patent Auction Time.